The Centre for Arab Unity Studies (CAUS) is delighted to announce that as of January 1, 2018, the long-standing CAUS journal, Contemporary Arab Affairs (CAA), will be published by University of California Press. 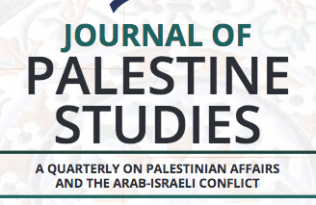 Contemporary Arab Affairs is a quarterly, multidisciplinary, peer-reviewed journal intended to provide a unique window into critical Arab academic production and discourse in the Arab world. The overall goal of the journal is to disseminate and share analysis, insights, and informed points of view of Arab scholarship with a global international audience. Published primarily in English, the journal facilitates access of original research and primary-sources originally produced in Arabic. “CAA offers research, analysis and thought pieces on the Arab Region and from the Arab region to shed light on the current affairs of a region that is known in the West as constantly in crisis. Our hope is that through CAA, readers will be able to better understand and appreciate the geopolitical complexities, dynamics, culture and history of the Arab region. We are excited about our new partnership with UC Press that seeks to further develop, expand and strengthen the journal building on its solid foundation”, states Luna Abuswaireh, the Director-General of CAUS. Over the past decade, CAA has become the go-to journal for many Arab intellectuals and scholars whose contributions would have otherwise remained completely unheard off outside the Arab region. Additionally, CAA has offered a space for many non-Arab scholars to publish their contributions and engage with their Arab compatriots in a thought provoking and engaging manner. The first issue of Contemporary Arab Affairs under UC Press, Volume 11, Number 1-2, is expected to publish in June 2018 as a double issue; forthcoming issues will resume a regular quarterly release schedule in September and December. Based in Beirut, Lebanon, the Centre for Arab Unity Studies (CAU) is a non-governmental, non-partisan institution that carries out independent, scientific research into aspects of Arab society and Arab unity. As a leading publisher of Arabic scholarship, CAUS publishes a number of Arab language journals and books in addition to Contemporary Arab Affairs.